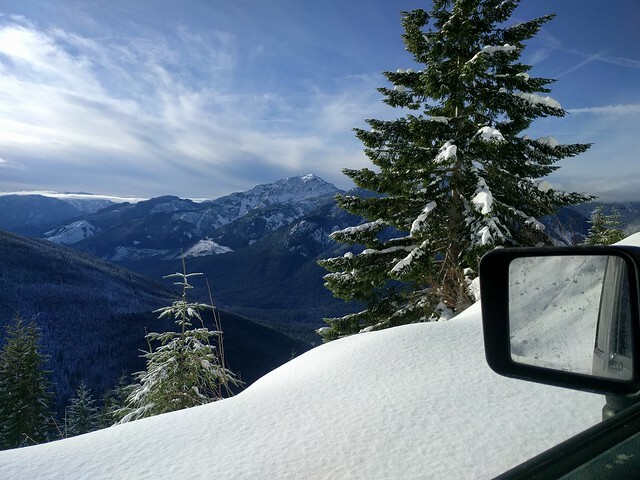 Drove up to 4700ft on the road to Whitechuck Mountain trailhead. 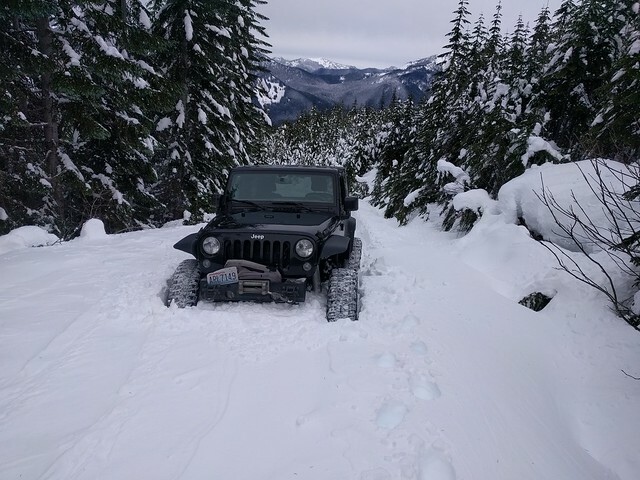 Except the last 0.1 miles it was rutted with some fresh storm snow on top, but it seemed to have been run by vehicles with a wheelbase a good 1.5 feet wider than mine so still a bit of work getting up (presents some unique challenges). 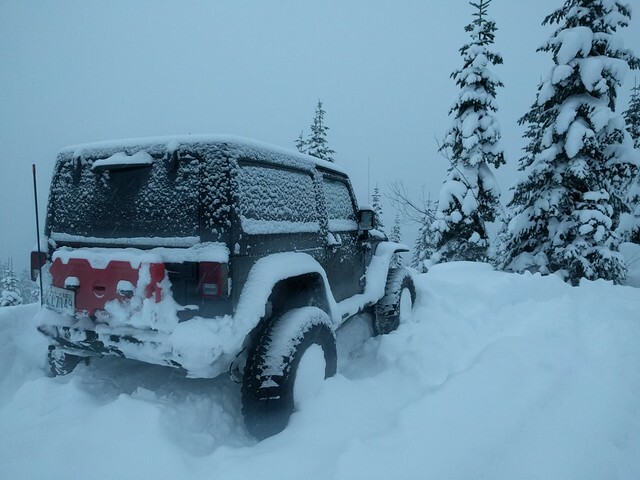 Breaking trail was just pounding the wall, Jeep sunk about 3.5 feet into the heavy wet snow. The Jeep is doing much better this year, it's got 4-5" more belly clearance and 6-7" better clearance where the OEM gas tank used to be. Doesn't high center and get stuck like it used to when ramming into fresh snow, just loses traction to push the axles through the cement. 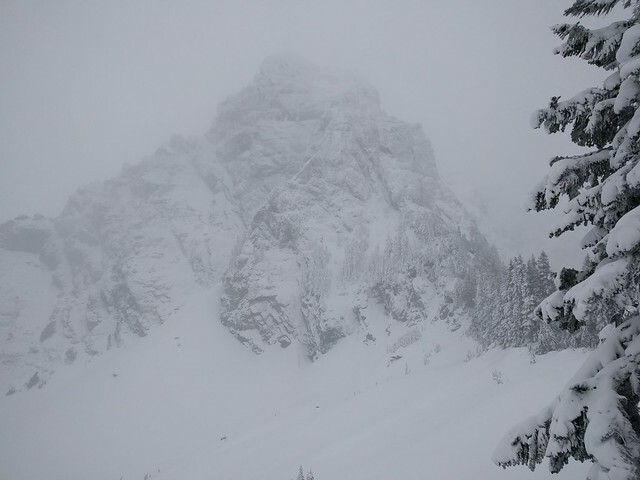 Went and tried to climb Whitechuck but we started far too late to hit the summit. Took way longer than we anticipated snowshoeing the approach in all that snow. Might go check out I90 tomorrow and get some skiing in too. Went up Tinkham on I90 on Saturday morning. Rutted to I think around 4000ft. Beyond that it was impassable heavy snow on unpackable sugar. Couldn't even pound the snowpack, just stopped like hitting a brick wall. With low expectations, today I went up some side roads on Beckler River Road toward Jack Pass. Hadn't been to this area at all. 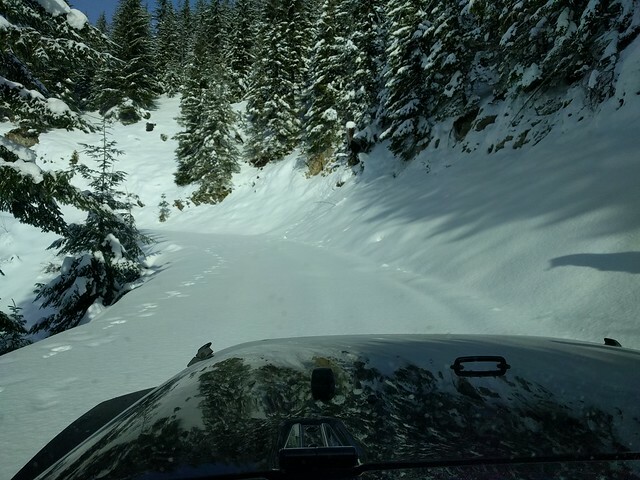 Really amazing snow wheeling with a seemingly infinite quantity of roads. Went up two roads to 3600-3800ft. Snow really picked up above 3000ft. Very little below but of course some amount of snow door-to-door at home! 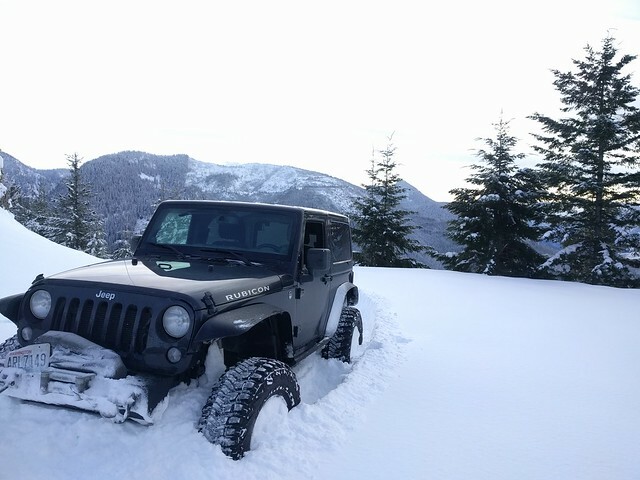 Was surprised to find pretty good snow. 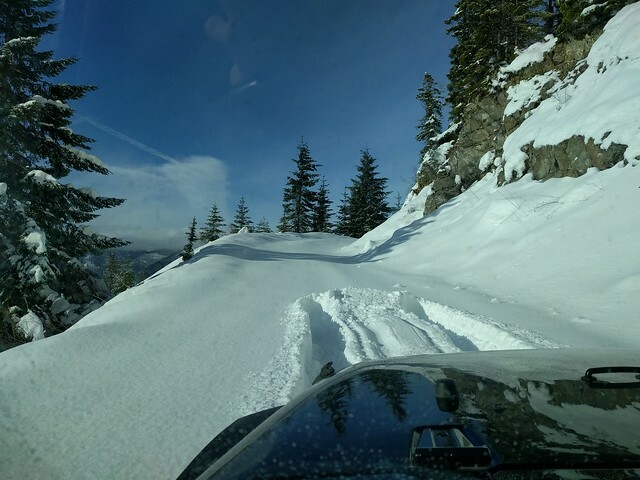 It was still fairly heavy and had to do a lot of ramming but each hit got 1-2 vehicle lengths and occasionally allowed for getting a little continuous driving in. Have been finding "5PSI snow" this weekend. Tried airing way down at Tinkham and it made things dramatically worse. 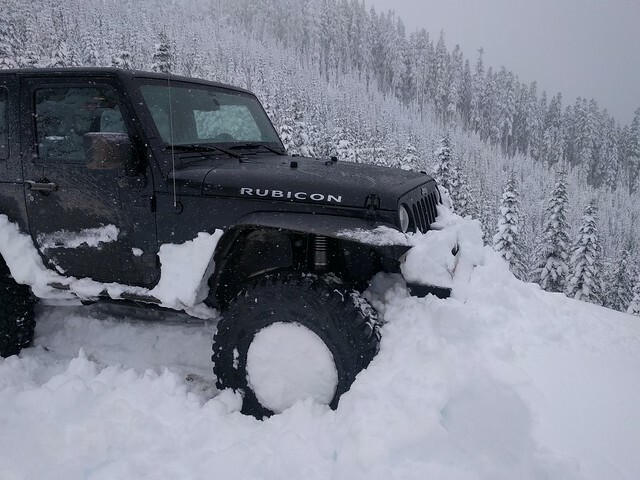 Need ground clearance in this heavy snow. Nice... I’m pretty bummed I missed out on that early snow this year. I still haven’t been out. I figured the conditions weren’t all that great with the cold we’ve had. Let me know if you want get a run in up here. The Beckler area is pretty decent. Plenty of side roads to find fresh snow. Did you see anyone up there? I assume jacks pass didn’t really have much snow. If I recall, it’s not even 3,000 feet. Nobody wrote: Nice... I’m pretty bummed I missed out on that early snow this year. I still haven’t been out. I figured the conditions weren’t all that great with the cold we’ve had. Let me know if you want get a run in up here. Definitely will come up north for a run. I don't think New Years weekend is looking any good, rain up to 5000ft this week. Will need to wait for a decent weekend. I like the Jacks Pass area when there's a good low elevation snow dump. Just cruising road to pass is fun because it's mostly level and you don't have to fight gravity the whole way. there is a decent road that heads up from from the pass, but like most stuff it tops out around 4,300'. If anyone is still out there, I'm going to take the family out for a bit on New Years day. Not expecting anything great, but hopefully enough find a sledding hill. Nobody wrote: If anyone is still out there, I'm going to take the family out for a bit on New Years day. Not expecting anything great, but hopefully enough find a sledding hill. Do you know where? Not sure exactly where you live, if it's not too far from me I'd probably be in on it if not starting too early. Don't have any other plans tomorrow at this point. I’m taking the family tomorrow, so wasn’t planning anything too crazy and I’ll have to cut the kids loose to play. Not planning an early start, probably leaving Stanwood 9:30-10am. If I was going solo, I was planning to head out the Mountain Loop just so other people are around. If you want we could head up to Iron Mountain again. Could also go out to Rat Trap, but I think that would be more enjoyable in perfect conditions. Weather looks good though. If we go up Green Mountain, there’s sure to be people stuck and blocking the road. I generally try to avoid that, but it’s fun to see once in awhile. Ok, sure I'm in on that... I'm good for going as far north as Iron Mountain, but also interested in other locations. Haven't been to Rat Trap or Green Mountain. We'd need to get above 3000ft to be on more than an inch or two of snow. However, I'm going to go do some work on the Jeep right now and could break it. I doubt it, but it's definitely a possibility! Rat Trap will be no good then. Why don’t we just hit Green Mountain. Should make for an easy day with some possible entertainment. We just might get stuck waiting a lot. It’s most likely rutted out to the top, but who knows. One other option is Segelsen, but I’m not sure if the road will be closed for snow park. I suspect there isn’t enough snow to have it closed. Green is probably the least amount of driving. Want to meet at Darrington Shell station? You can pick a time. Jeep is good to go. 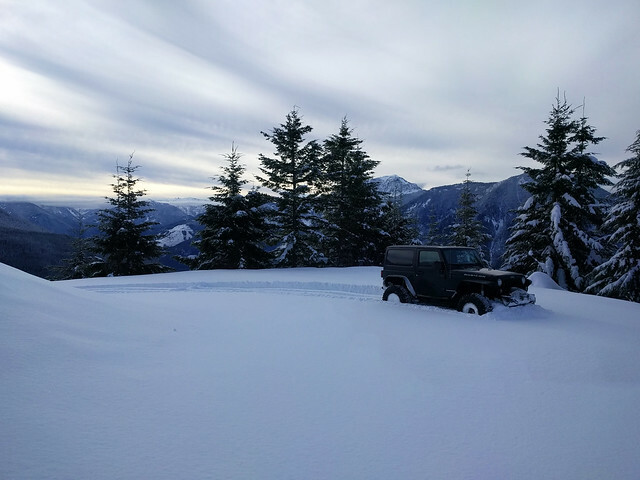 Another option out of Darrington to get well over 4000ft is the road to Whitechuck Mountain (NF-2435), very scenic road up high. Green Mountain works for me too though!